Best hostel in Porto, like everything in the hostel, close to bar neighborhood and train station. Very social place to meet new friends! One of the best hostels I’ve ever stayed. It is located at the heart of the city. 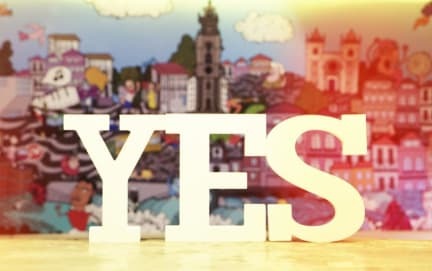 Same style with yes!lisbon. Everything is fine. Always good dinner, I really ENJOY it. Porto us beautiful ! The hostel is really nice. The worker is warmhearted. The location is perfect, just the center of the city. And the breakfast and dinner was so delicious. I will recommend this hostel to my friends. Fantastic hostel experienced I ever have ! Pricy stay,charged 10 eur meal and wonderful location,and also comes with free breakfast! Recommend to attend local street tour which is free and you only pay some tips for great awareness you have about the history and stories of this beautiful city ! Everything is fine and enjoyed staying here, cool place and great free tour. Amazing stay at Yes! Staff are super nice and helpful, feel like home and hanging out with friends even as a solo traveler. 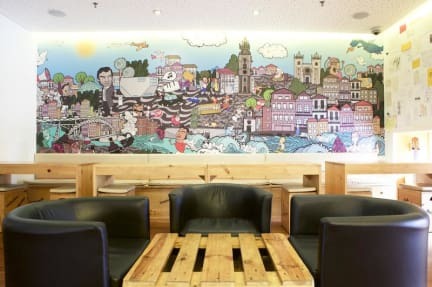 This is a fantastic hostel that you should def choose when you visit Porto! good location which is in the downtown of Porto & clean bedroom & bathroom; the staff were nice; However, it was very noisy at nights. it is possible to require the travellers to be quiet and respects others, especially those coming back from night clubs.